Our mission is to document and highlight efforts of people and organizations around the world that are empowering others to become self-reliant. "Billions Rising was informative, inspiring and captivating. I want to get involved in such a great movement to help teach someone how to fish in order that they can feed themselves for a life time and ultimately feed generations to come. We are better together! So many more need to know about Billions Rising!" "The book is a fascinating read, especially the hand-up vs. hand-out philosophy. I was very impressed with some of the brilliant innovations that people have come up with to deal with major issues." "Billions Rising is such an inspiring read. Empowering people to take charge of their lives and become self-reliant is so much better than on-going handouts that lead to entitlement and dependency. The numerous examples of ordinary people doing extraordinary things show us that it is possible to create lasting change in the world now. Read this book and then challenge yourself to be the change you want to see in the world. KathyAtkinson.com "
"Billions Rising reaches into the very fabric of what it means to be a human being with dignity. Encouraging self-reliance is keeping everyone’s pilot-light going. It can only brighten the future! Well done!" "You clarify a global problem and inspire action. Facts, personal anecdotes, even some neuroscience makes this read for a most comprehensive approach to help those who are able to be the boost for others to their own self-reliance. In the telling of our global situation as it is, people have to be inspired into action to help others since you offer so many resources. I hope this has a reach to change the world, from our local communities out, in a time when it needs changing." "This book covers a lot of material and information – and I mean a lot! It basically is a book about becoming self-reliant: personally, culturally, nationally, and universally. It shows us how we can all make major differences for ourselves, and others. As we ourselves become part of Billions Rising!" 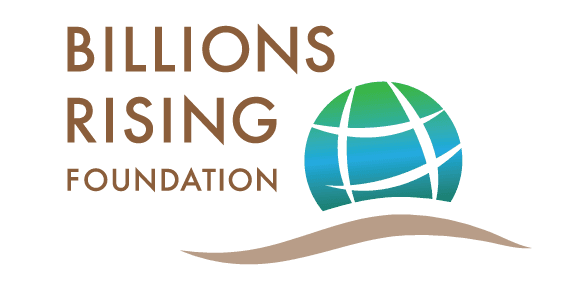 "Billions Rising is a must-read for anyone who wants to understand the role of self-reliance in economic and social development on our planet. “Helping others to help themselves” should be our creed rather than just relying solely on charities — the book, through its powerful and inspiring stories of success around the globe, clearly lays the foundation for a pragmatic path forward." "Billions Rising will profoundly change your life, your way of thinking and how you look at the world forever. The goal of the book is simple to open us up to the fact that we can change the world and its not up to someone else its up to each of out us. The future is very bright if we focus on the caring and do things that support, encourage and of course give back. But the greater message is if we collaborate we can make things happen. Thengine.com"
"This book is as practical as its inspiring. Uplifting stories with themes as diverse as corporate and social collaboration for cleaner water and the school for entrepreneurs make a strong case for self reliance — and even better — unlock unique ideas for getting there. A wonderful book!" "If the UN was doing what Billions Rising is initiating worldwide self-reliance, education and freedom would be a reality for all. As a world of people, we all need each other. Congratulations to Warren Whitlock and his team for initiating Billions Rising. We all can now get on-board to make this book an excellent global project a success. Infogurushop.com "
If you have a story or cause you would like to share, or just have questions about us or the work we support, please use the contact form below.